One race in a day was enough for me on Saturday. Couldn’t say the same for everyone! 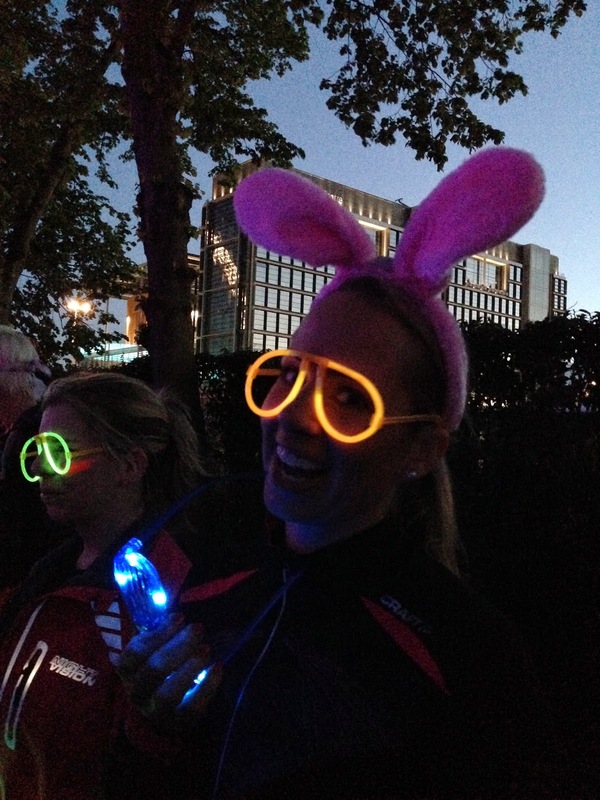 These bunny friends of mine below, Jen (also featured in Monday’s Living the simpElle life post) and Harriet went on to run the Electric Run that very evening. A whole other 5km race…opposite ends of the day! I know! 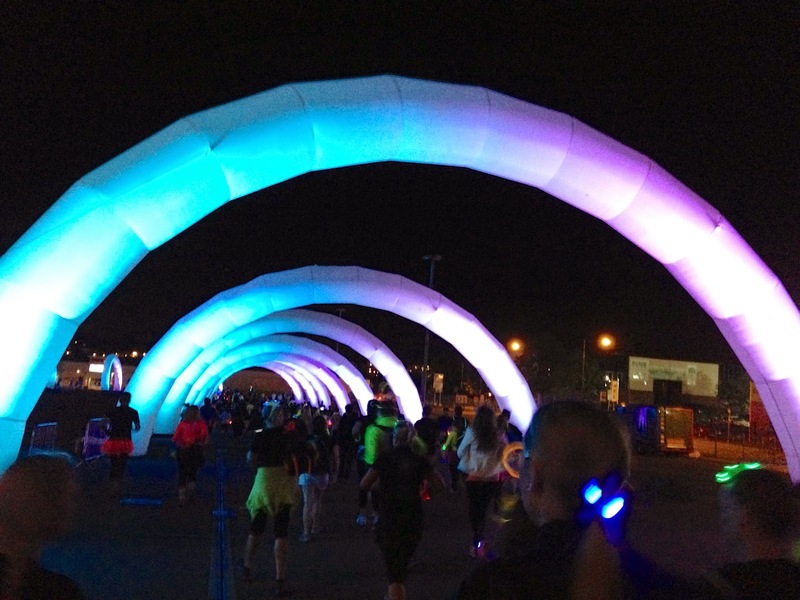 So I couldn’t be at the Electric Run that evening due to work but I know lots of people who share my passion for fun events and being active. One of these people is Alex; she shares her experience here for us of the event! As runners/athletes/sports people we can all become so obsessed with PB’s, our best 10k, our fastest race ever and medals that we sometimes forget to run just for FUN. After all, running can be so enjoyable if you take off a bit of pressure now and then and just run. 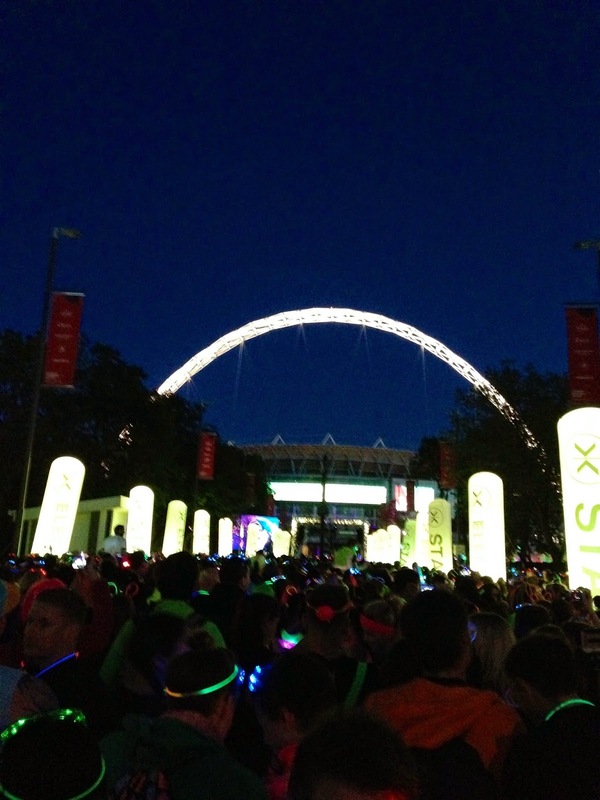 This Saturdays FUN RUN was the Electric Run! 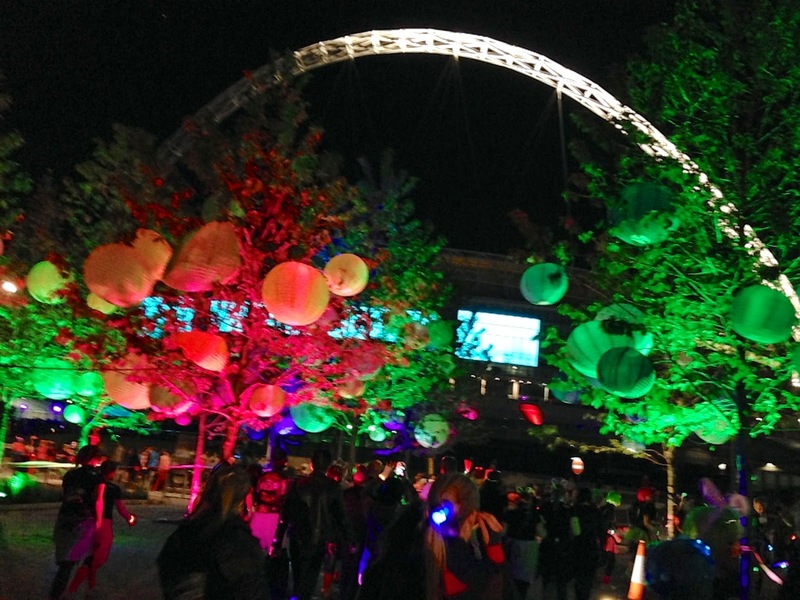 For the first time ever in London, a 5k run in Wembley Park with a DJ and light show with neon coloured lycra as far as the eye could see. When I got on the London Underground there were people everywhere dressed in the funkiest of outfits – bright colours all over the place. 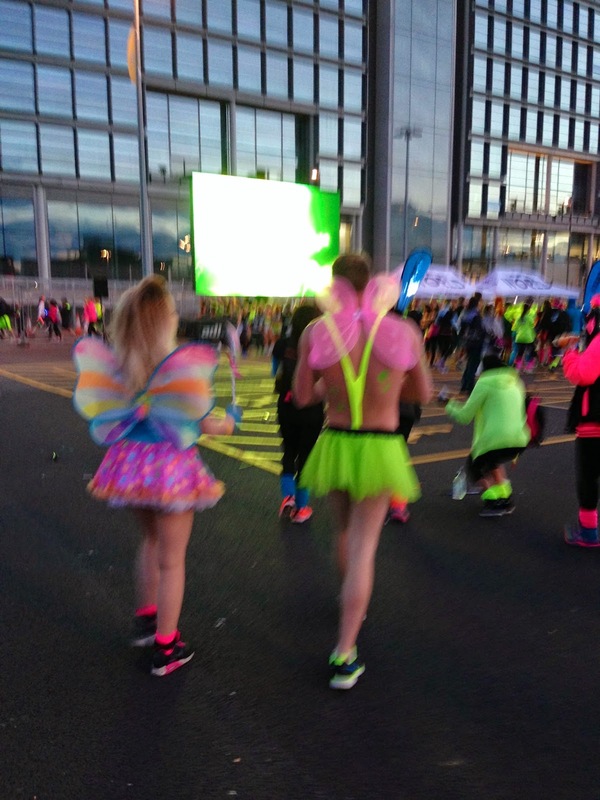 The legwarmers, bunny suits, angel wings, tutus and LED lit mohawks were making their way north east. That’s one of the things I love about living in London; that people here really go for it! When we arrived the queue to pick up the race packs was very daunting but it went faster than expected. A tip if you are planning on entering the run is to have it sent to your home address in advance – worth every penny. 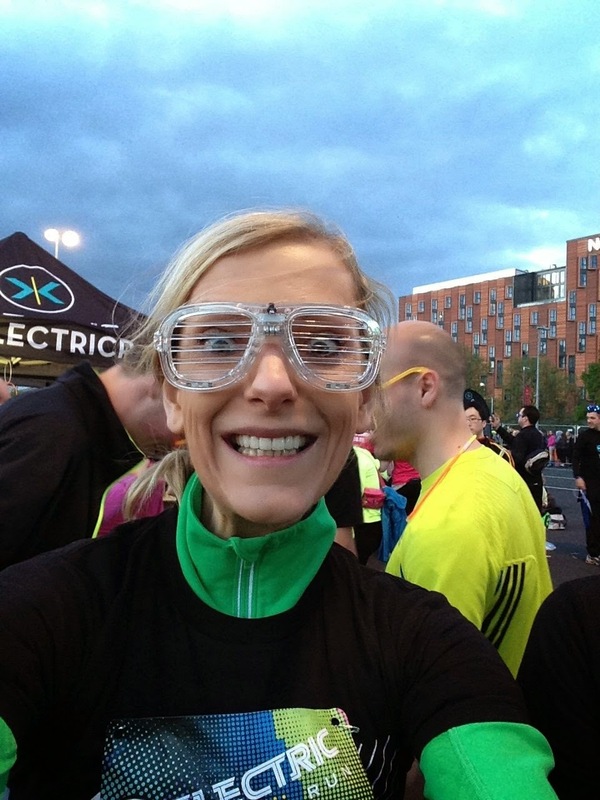 Included in the race pack were LED glasses, a t-shirt with great fit and a blinking LED bracelet. There was also on site shop if you didn’t quite feel “glowy” enough. getting in the mood to run! 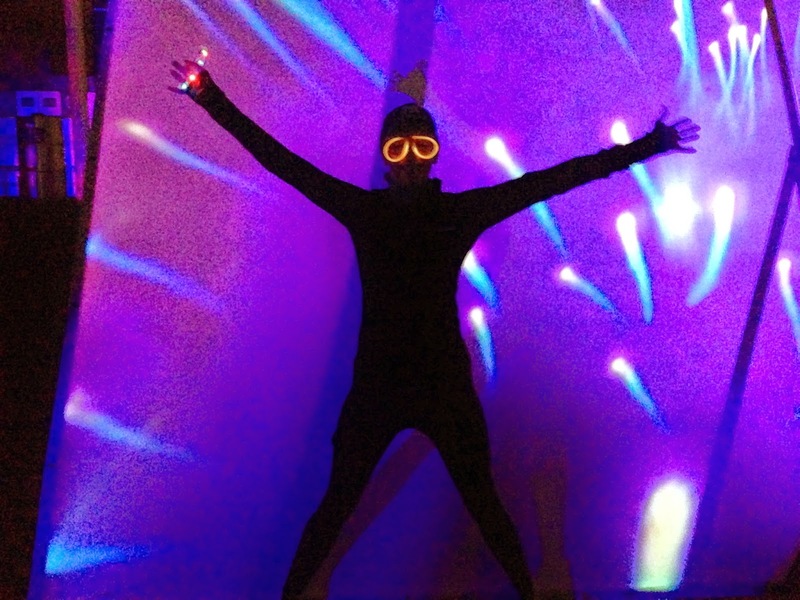 Before the race kicked off the atmosphere was on fire – the DJ – neffmau5 spurred us on with great beats. People were let off into big herds every five minutes, most of them running although at times it was hard given the crowds. Throughout the 5k route there were stations with music, light shows, a glow in the dark water station and volunteers cheering! Me and my friend Sara kept on stopping, taking funky pictures and having fun with the light installations. There were runners of all ages from 5 years old up to 60 years old contributing to an amazing and fun event! It was probably one of my slowest 5k ever but I walked away with a big smile and lots of fun memories and pictures. Inspired by this I want to challenge you all for your next run. Put away clocks, timers, heart rate monitors and tracking devices just once; grab your favourite music and just enjoy running. Feel the music, your body moving and take in the scenery. Fall back in love with the joy of running! 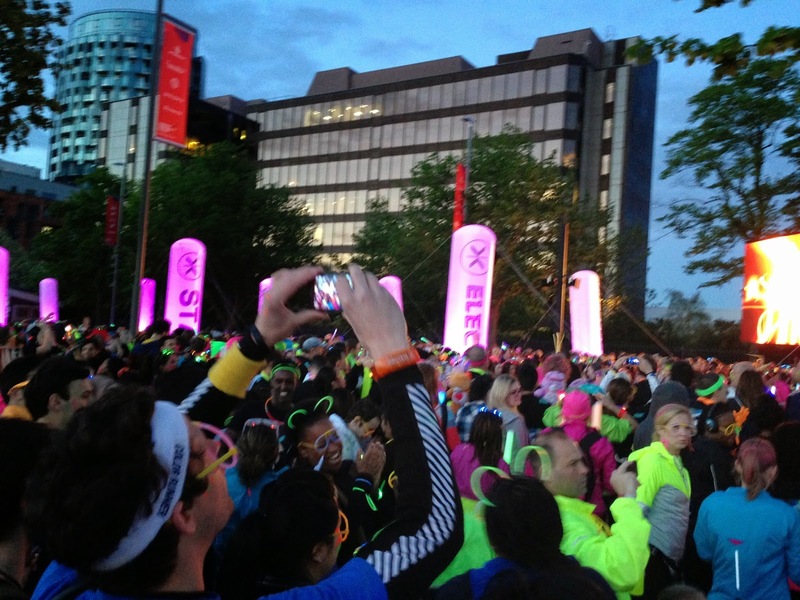 The next Electric Run is on in Manchester on the 10th May with more dates to follow. Omg this looks like so much fun!! 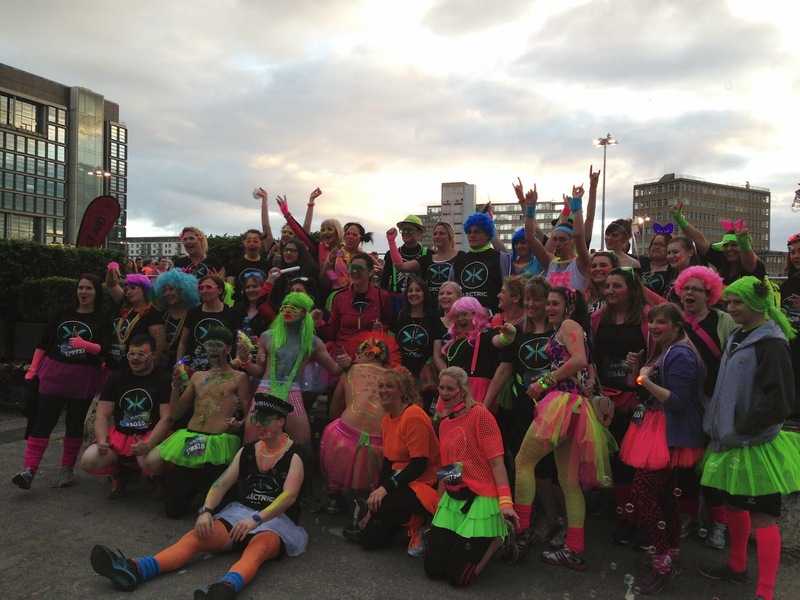 I can't wait to do a Neon Run this summer!